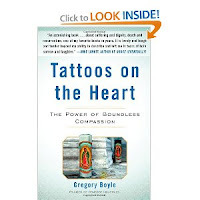 If you're interested in experiencing the crazy world of faith ventures, Father Greg Boyle's recent book, Tattoos on the Heart, is a must read. The book wonderfully captures the flavor of employing ex-gang members rebuilding lives at Los Angeles' Homeboy Industries. Instead of being a how to book or a history of Homeboy, Boyle organizes his stories around nine spiritual themes that arise out of his unique ministry. These include the importance of God, the damaging nature of dis-grace, the slow nature of God's work, the difficulty of defining success apart from God and the value of kinship. 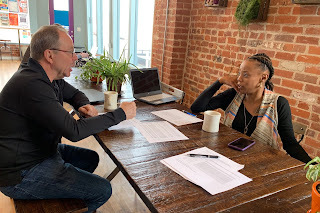 I could go on and on with Boyle fantastic insights on the unique nature of employing individuals rebuilding lives. But you really need to get this book for yourself. 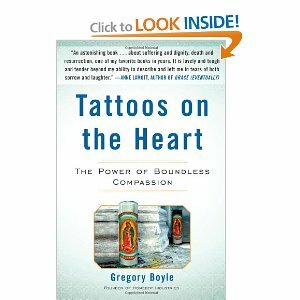 Tattoos on the Heart reflects Boyle's unique talent at telling the stories of the community he serves.